Fireworks. Jellyfish. Galaxies. Lightning. Opal’s shifting play of kaleidoscopic colours is unlike any other gem. The play-of-colour displays the entire spectrum over a light grey background. Bright flashes of colour skip across this stone’s surface. Play-of-colour results when light interacts with orderly stacks of spheres. 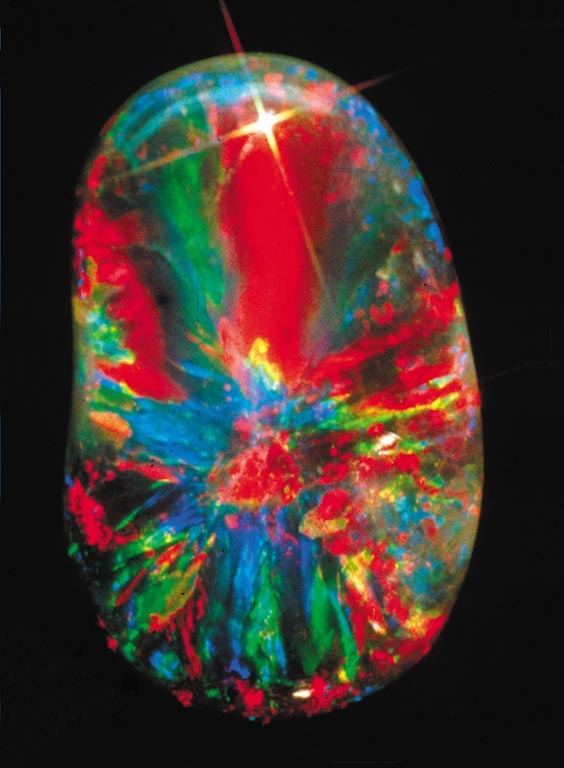 This opal nodule displays the promise of intense play-of-colour. 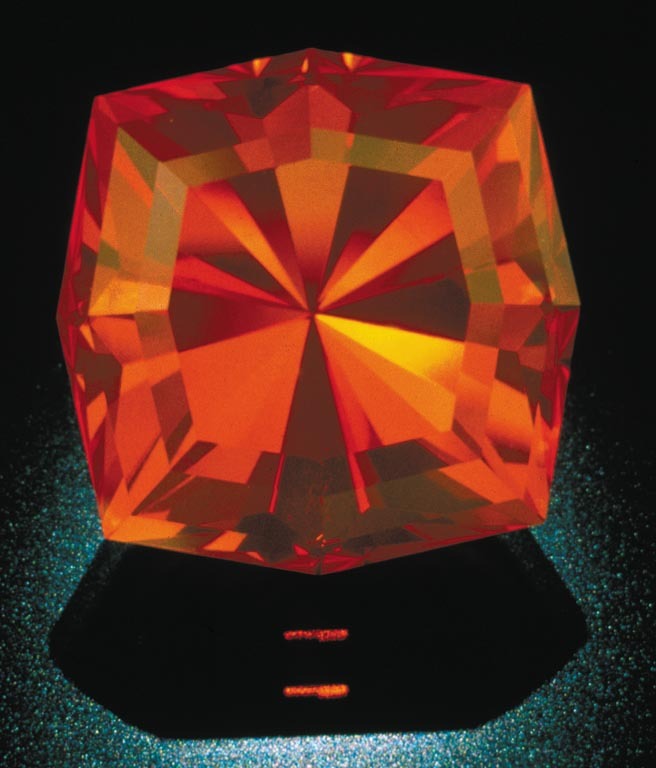 Grids of silica spheres 0.2 microns in size create red play-of-colour flashes. 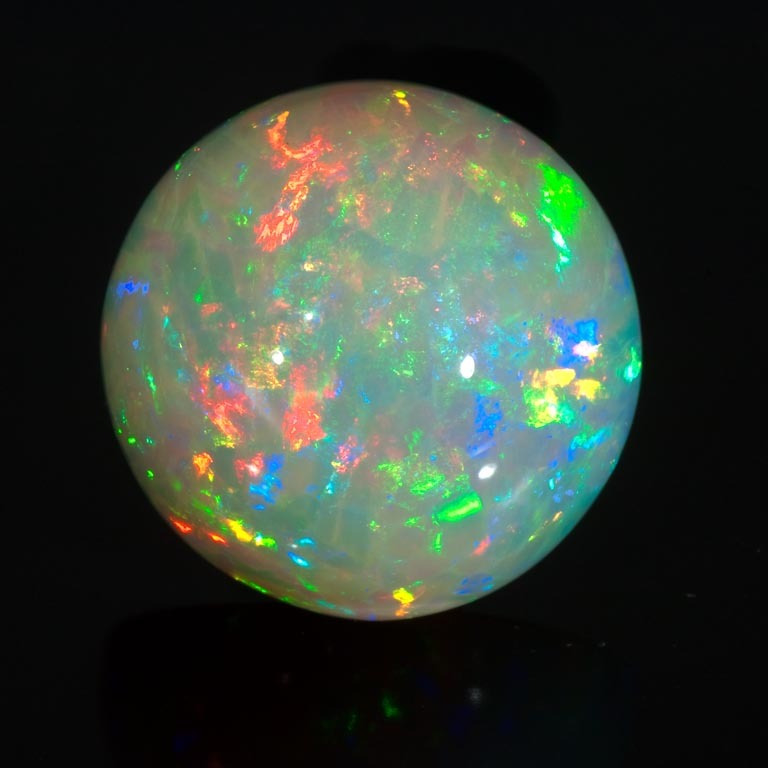 Opal’s flashing play-of-colour is caused by diffraction of light by silica spheres stacked like tiny Ping-Pong balls in a box. 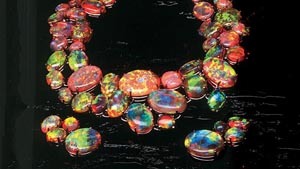 Opal’s arrays of silica spheres form a fantastic variety of patterns and colours. 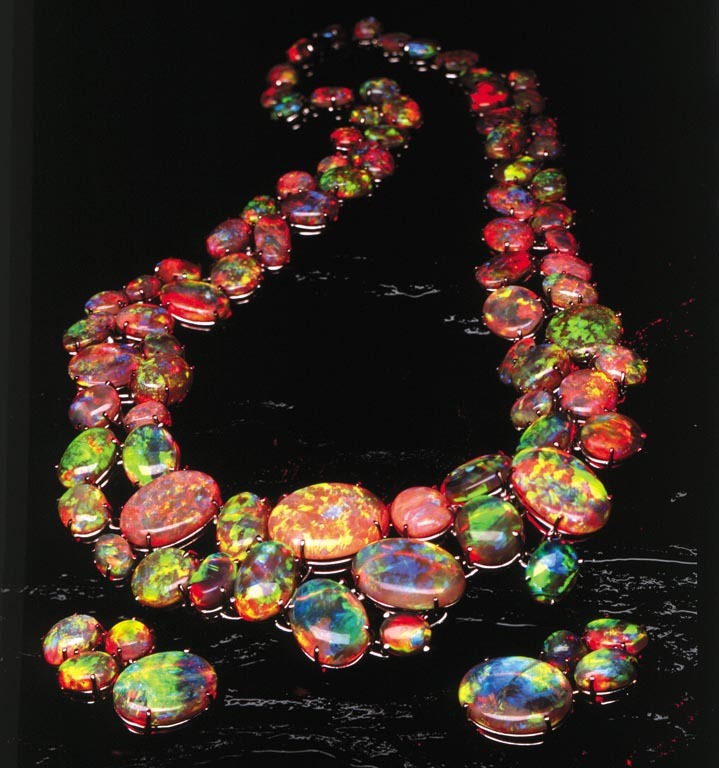 No two opals are exactly alike. Play-of-colour, intensity, and pattern are important value factors. 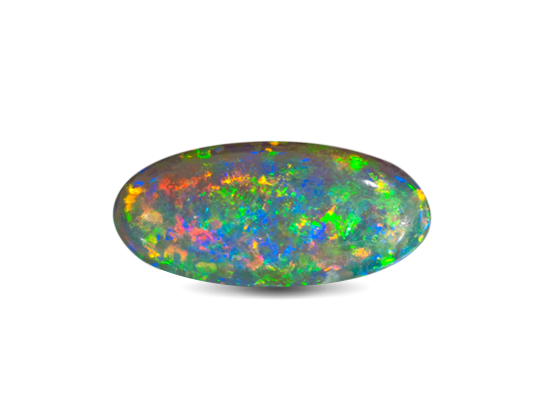 Opal’s spectacular play-of-colour can display all the colours of the rainbow. 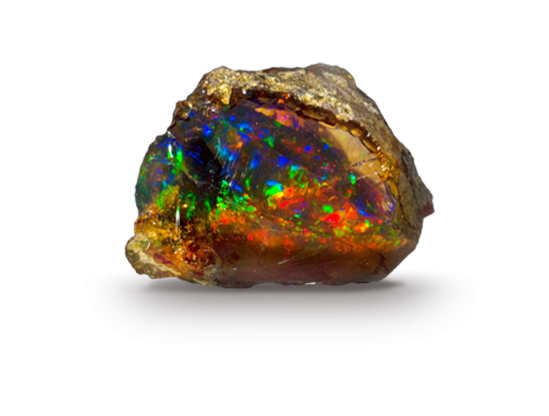 Fine opals are often cut into irregular shapes that keep as much play-of-colour as possible.